There is a moment in the film 12 Years a Slave when Solomon Northup understands the depth of the trouble he is in. Lying shackled in a pen after having been drugged, kidnapped and sold to slave traders, he wakes up to protest to his captors that he is a free man. They demand to see his free papers. Just a few days earlier, he had thought carrying such papers unnecessary, even in a slave state. “I thought at the time, I must confess, that the papers were scarcely worth the cost of obtaining them,” he wrote in his memoir. “The apprehension of danger to my personal safety never having suggested itself to me in the remotest manner.” Only after he finds himself without them does he discover their—and therefore his—true worth. For in the absence of that proof, his value as a human being plummets to zero, and he is destined to live as chattel for more than a decade, until he can prove otherwise. More than 150 years later, the status of free black men—and women in a different way, but to a parallel extent—is still precarious. Their very existence remains a threat, and in the absence of free papers authenticating the validity of their presence in a given place and time, their lives are virtually worthless. This was illustrated most recently with the trial of Michael Dunn in Jacksonville, Florida. 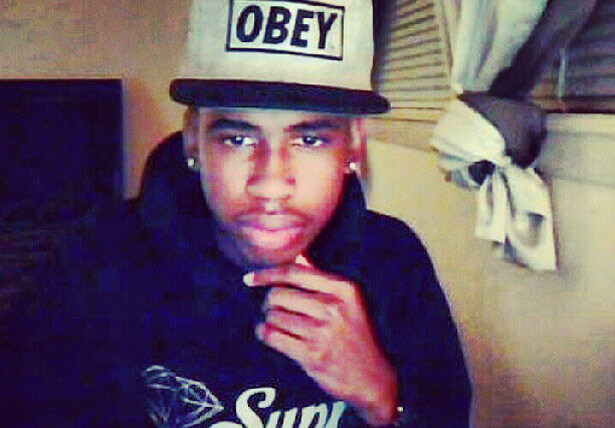 Dunn killed Jordan Davis, 17, when he shot at a car full of unarmed black youths because he thought they were playing rap (or, as he termed it, “thug music”) too loud and wouldn’t turn it down. None of the kids were armed, but Dunn claims he felt threatened anyway. Then he went to his hotel with his fiancée, had a rum and Coke, and ordered a pizza. Dunn was convicted on three counts of attempted murder regarding the youths who survived, but the jury was deadlocked over the killing of Davis, saying it could not agree on whether Dunn had acted in self-defense. But Dunn’s actions were no one-off. The examples of similar high-profile cases are endless and enraging. In Barboursville, West Virginia, in January, Rodney Black shot Garrick Hopkins and his brother Carl (both of whom were African-American) dead after he saw them inspecting a shed on land they’d just bought next door. Black thought they were trespassing on his property, so he shot first and then called 911. In Philadelphia a few weeks earlier, Darrin Manning, 16, had to have surgery on his testicle after being stopped and searched by police on his way to a basketball game. In Dearborn Heights, Michigan, on November 2, Renisha McBride, 19, was shot dead after knocking on a door seeking help after a car accident. Near Charlotte, North Carolina, in September, Jonathan Ferrell knocked on a stranger’s door, also seeking help following a car crash. The homeowner reported an attempted burglary to the police, who came and promptly shot Ferrell dead. The fate of the assailants in these cases currently lies with the courts—but few African-Americans have any illusion that this is where justice resides. George Zimmerman felt threatened by a boy almost half his age. When Trayvon Martin couldn’t produce papers proving that he wasn’t a “punk,” Zimmerman felt justified in killing him. The judicial system backed him up. The verdicts matter. Zimmerman’s acquittal lent legal imprimatur to the understanding that it is open season on young black men; Dunn’s mistrial on the key charge of murder did nothing to discredit that. But these tales go beyond the legal arena: they reflect a violent, racist culture in which the black body, particularly when it is young and male, is considered fair game. One can list only so many isolated incidents before it becomes impossible to deny a pattern. According to a 2013 report by the Malcolm X Grassroots Movement, a black person is killed by police, security guards or vigilantes every twenty-eight hours. Add to that the fact that one in ten young black men is behind bars and one in two has been arrested, and America starts to look more and more like a huge penal colony, even as the challenge to the black community shifts from the discriminatory to the existential. Black people have been enslaved in America far longer than they have been free. Historically, even their nominal full rights of citizenship are very recent. Tragically, it is taking a significant proportion of the white population—and the state—a long time to catch up with this reality.